ISHPEMING — Playing your last home game on your home field is always a bittersweet occasion for high school seniors, but the two captains of the Ishpeming softball team definitely made the most of their final appearance on Tuesday. 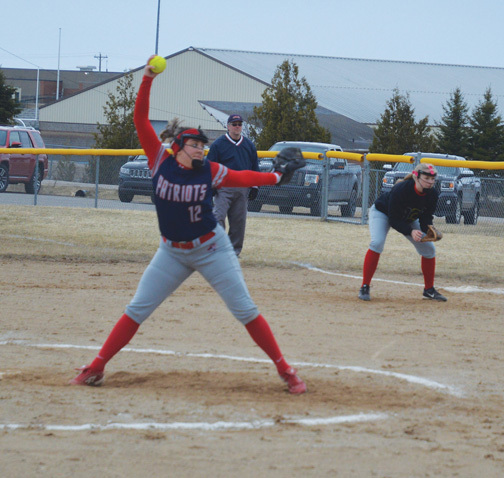 Senior pitcher Emma Bleau gave up seven hits and struck out 18 Houghton batters, while fellow senior Kayla Kaukola had three hits and two RBIs while scoring four runs as the Hematites swept a doubleheader from the Gremlins, 10-0 in the first game and 7-5 in the second. Ishpeming head coach Ben McGuire praised Bleau’s performance in the circle, especially with how she fought off Houghton’s late rally. 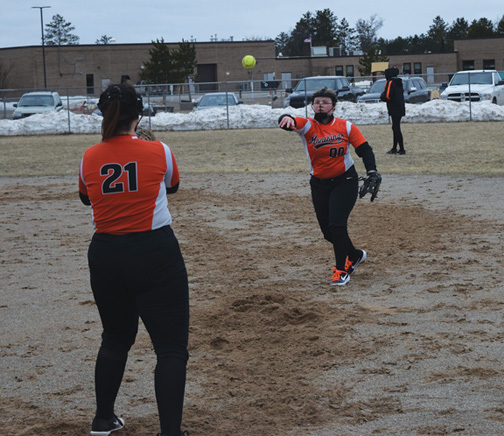 The nightcap was a tight throughout as just when it seemed as if the Hematites would close out Houghton, the Gremlins managed to prolong the game for another inning. Ishpeming scored first in the bottom of the second inning on a fielder’s choice by Berkli Asgaard. The Hematites then padded their advantage with three more runs in the third. A RBI triple from Korey Kaukola scored Madison Pruett and Kaukola would later score on a fielder’s choice by Kayla Kaukola. Ishpeming scored its final run in the frame on a sacrifice bunt by Willow LaChapelle. However, Houghton started to answer back in the fourth. The Gremlins got their first run when Sofie Kyllonen scored on a fielding error. 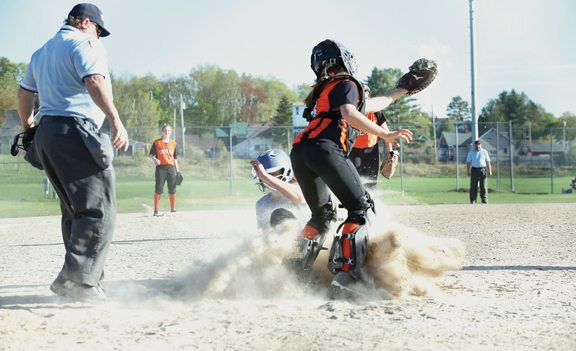 In the fifth, Houghton pulled closer on two more fielding mistakes as the Gremlins trailed only 4-3 heading into the bottom half of the inning. 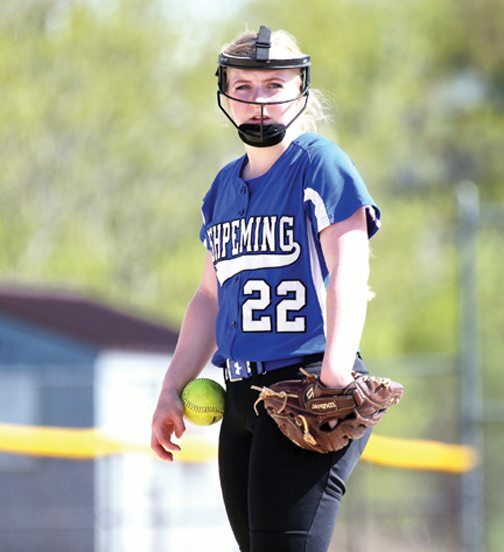 Ishpeming wasn’t deterred by its errors, though, as it started to wear down Houghton pitcher Isabelle Cleary. The hurler had done a decent job so far against the Hematites before issuing three straight walks to start the fifth. After Korey Kaukola scored on a passed ball, a bunt single from LaChapelle plated Kayla Kaukola. Later in the inning, Asgaard laced an RBI single to put Ishpeming up 7-3. Bleau blew through the sixth inning, but got into some trouble in the seventh. 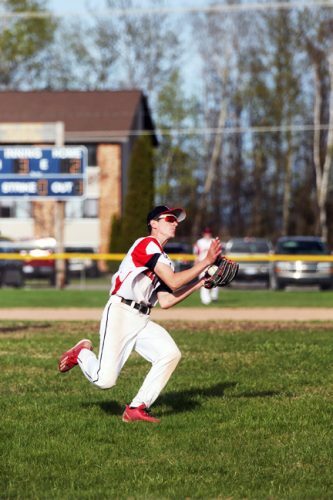 Several more Hematite errors helped Houghton cut its deficit to 7-4 before Quinn Donnelly cranked a triple to the centerfield wall to score another run. But Bleau wasn’t rattled and got a strikeout to close out the game. Bleau finished the game with eight strikeouts, while giving up five hits and one walk. Cleary took the loss for the Gremlins as she gave up seven hits with four walks, while striking out three. In the opening game, it took a little while for the Hematites to get rolling, but once they did, they were hard to stop. Ishpeming scored five runs in the third, highlighted by an RBI triple by Myah McNab. After scoring twice more in the fourth, the Hematites finished off the Gremlins in the sixth. Pruett led off the inning with a base hit, then Korey Kaukola drove her in with a long triple to left field. Kaukola later scored on a hit by Kayla Kaukola and Bleau capped off the game with a sacrifice fly. Bleau had 10 strikeouts in the first game and only gave up two hits and one walk. 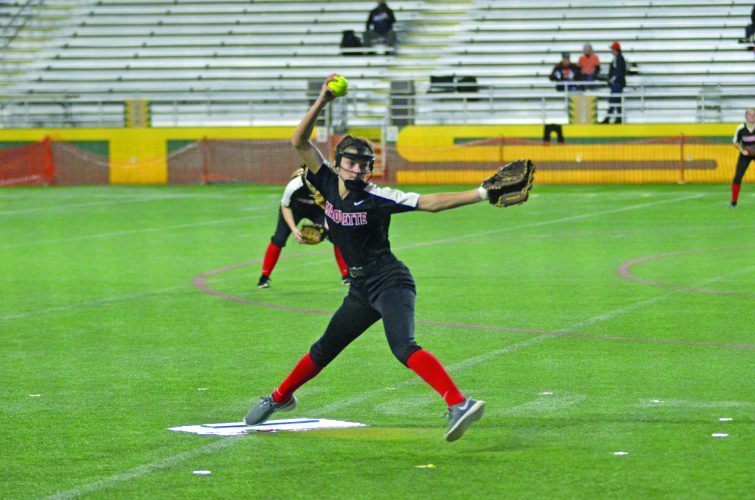 Josie Connors was dealt the loss for the Gremlins as she gave up seven runs on nine hits and three walks, while striking out two in four innings of work. 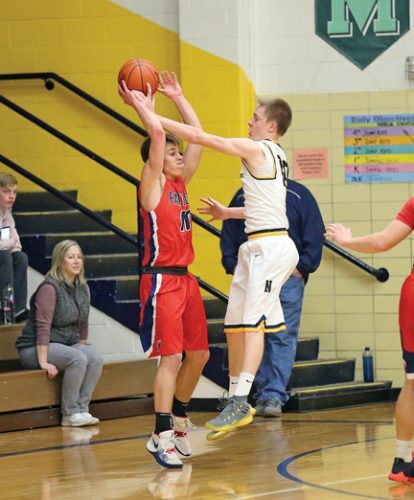 Ishpeming opens the MHSAA Division 4 district tournament next Tuesday at Superior Central.